Today, an update on Push-Dose Pressors. I coined the name Push-Dose Pressors (PDPs) way back on episode 6. The idea was not new, anesthesiologists and resus docs have been using bolus-dose vasopressors for decades. I just thought the name was dumb, these are not boluses in the way I have always thought of them (a brief iv drip). I also thought it was crazy that the concept had not really penetrated very far into emergency medicine and the ICU–at least in the States. My prehospital doc friends told me it was common in their world. Since the podcast, I have received 100s of emails describing the use of PDPs to lifesaving effect (or at least code-preventing), but there has been scant published literature on this technique in EM. Recently that has all changed. Can We Wait for the Drip? What should you do when you can't wait that long? How do you treat critically low perfusion to the heart & brain? For the love of all this is Resus, Label the frackin bag! Love having ED PharmDs as part of the team! Are there downsides? Scott Weingart. 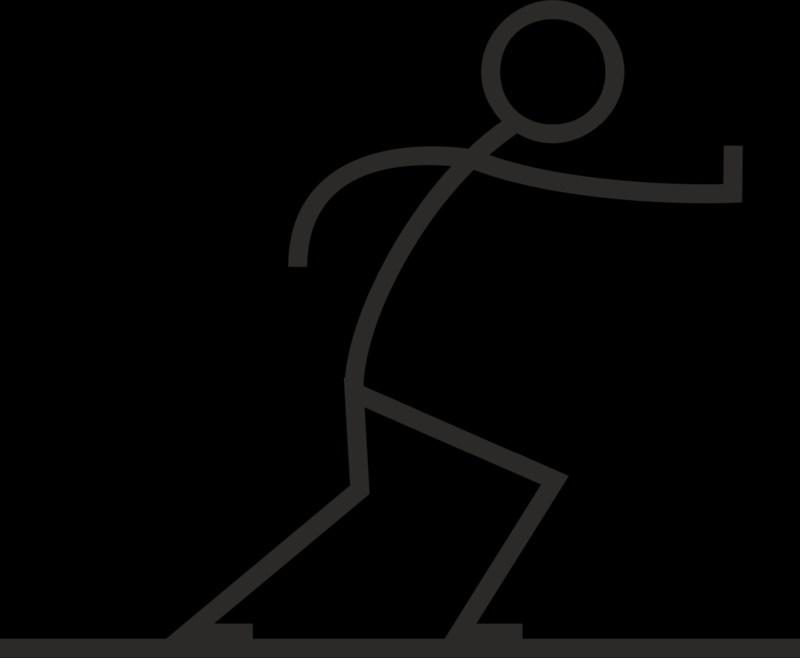 EMCrit Podcast 205 – Push-Dose Pressors Update. EMCrit Blog. Published on August 7, 2017. Accessed on April 22nd 2019. Available at [https://emcrit.org/emcrit/push-dose-pressor-update/ ]. I just wanted to comment on why I think drawing up into the saline flushes is not recommended. It may be due to sterility, but more likely it’s due to the safety issue of the syringe not being labeled or the label falling offf and now someone thinks they are giving a saline flush but are actually giving a medication. The saline flush syringes are used to mix and prepare medications and they are technically a “medical device” and should not be used to reconstitute medication. Use a fresh syringe and you’ll always be safe. Thanks! that explains the why. In a perfect world I agree with you. But it’s not a perfect world.. Lables come off, I’ve seen sharpies get smeared. I’ts an error waiting to happen and it has. In my risk manager days and as a Legal consultant I’ve seen cases here lables have come off and people were given mixed paralytic thinking that it was just a flush. ALso in a perfect world we all would have laminar flow hoods to mix meds in. In reality it’s not that much harder to mix in a plane 10cc syringe and the actual infection risk although isn’t zero, probably isnt’ that high is people are using good technique. I do agree with your comment about medical and nursing staff being comfortable mixing. In my years at Hopkins pharm mixed and we kept in fridge. I had no idea how to mix. What does your training program for your nursing staf look like? ok–that makes a lot of sense. I will say that the labels we use cannot come off–they are those kinds that require breaking your thumbnail to remove, but I hear you. But this is assuming that people are less likely to screw up with an unlabelled 10ml syringe rather than an unlabelled saline flush, which I kind of buy. Great podcast! I agree with you on most points, however I do not believe pharmacy should take a backseat when mixing meds. Having pharmacists that mix meds (even when they’re only part time) increases both medication safety and efficiency. This is not to say that pharmacists are any faster than nurses/doctors at mixing meds–only that those roles have other tasks to perform in an emergent situation. It seems entirely inefficient to take an additional member of the response team out of the equation to mix meds when a pharmacist alone is capable of doing so. have noted the exact same situation!! Have never understood why we don’t tend to use push-dose norepi. Any idea? But why does the entire idea of bolusing Levo seem so alien in the US? Is there some concern for harm? I use push norepi all the time. In most patients I don’t think it matters much and I’m mainly giving pressors for alpha activity. In many hospitals including mine, anesthesia uses push norepi routinely. Could make the argument that compared with epi/neo, norepi may pose a higher risk if it extravasates while your giving bolus doses through a peripheral line? Wonder if that’s why — although hard to imagine it would be worse (i.e. more vasoconstrictive at our doses) than epi! In a patient who has a compensatory tachycardia (lets say 130-140), Epi has more chonotropy which we don’t necessarily want, so then why isn’t push dose levo standard? We use levo as our first line pressor for most hypotensive situations with few exceptions. I understand desire for inotropy, but levo also has intropy without much chonotropy. in relation to epi. My question really boils down to this: if all of our pressers work almost instantly, and levo is our first line drip, then why is it not our first line push-dose? Also it makes the logistics easier because you already have a bag of levo mixed at the right concentration so then just pull a syringe of it out from the bag and give 0.5-1 ml. (16-32 mcg) and give it as needed. Just seems logistically more simple, which in the flight world is a key factor. 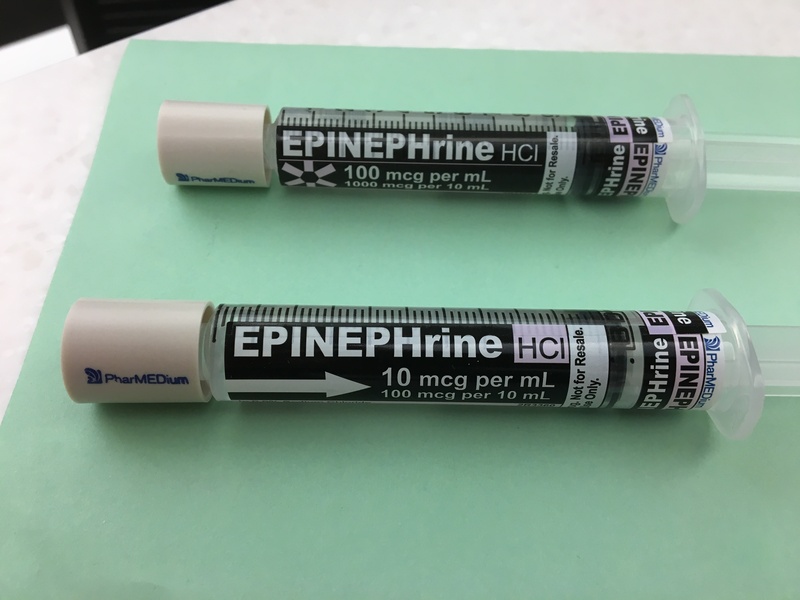 in response to the “extra risk of extravasation with push dose levo”…..you should be checking your lines prior to administration of any medication/fluid….we are giving up to 100 ml/hr of norepinephrine via a drip…but 1 ml is an increased risk? I respectively disagree. did you listen to the podcast???????????????????????? I asked the same thing about levophed Brandon. Seems like something that just hasn’t been discussed much. Especially in EMS where neo isn’t an option. Doctors…One way to make sure you are administering the desired dose of “dirty epi” would be to use a buretrol. There will likely be one in every pediatric code kit. It will eliminate the need to repeatedly draw up epi from the “dirty epi” bag, and eliminate any problems with contamination, assuming you set up the bag and buretrol correctly in the first place, which is easy. Want 10 mcg – put 10 ml into the buretrol and set your drip rate from the chamber below to empty the buretrol in 1 minute. Want 15 -put in 15, etc. Buretrols run less than $20 each, some are less than $10. My understanding for using a “dirty epi” gtt was for a coding patient. With limited resources the every 3-5 min epi dose administrations are offloaded from the caregivers. Granted this isn’t ACLS but some providers are going to an epi gtt at 0.7 mcg/kg/min during a code for constant state of drug vs the yo yo effect. Ultimately the pt will get a liter and no more than a regular push of 1 mg.
Just an an additional observation on your comment that most RNs and MDs aren’t too concerned about reusing a syringe plunger – agitated saline injections during a bubble study effectively require rescuing syringe plungers. In any case, as you had suggested in the podcast, this, in of itself, is not likely to really harm your patient . i think it is fine. thing is that the asthmatic, unlike severe anaphylaxis, has no perfusion deficits so IM would probably be fine in these patients. Great episode. Lots of pearls, and I agree wholeheartedly with the bit towards the end about the potential for teaching and “upskilling” that ED Clinical Pharmacists could play — something to think about when I’m on my ED Pharmacy elective later this year. I hope you get Dr. Cole on the show sometime soon — he and the crew at Hennepin have been doing a great job continuing to set the bar for clinical research in emergency medicine, and I have no doubt that they’re working on trying to answer some of the questions he poses as the end of his editorial. I’ve been intrigued with the idea of push-dose pressors for awhile, and in thought they seem to have a certain ease of use. In the prehospital world we would need to have standing orders for these, or have online medical direction for it’s use. You seem to hint in your podcast that these medications should only be handled by the highest level of practitioner. Does this mean you don’t believe this to be an appropriate prehospital tool? Given the extremely effective, and surprisingly rapid, results with IM epinephrine in anaphylactic shock, had there been any consideration in it’s use for other vasodilatory shock states? when i had to do drips without pumps on the bus, it always struck me as one of the worst medical practices out there. dirty epi is just a recapitulation of that. push-dose at lease lets you know what you are doing. yep saw it when it first came out. it was great stuff. your variances of error are just fine for my adults given the circumstance we are talking about, i.e. about to code, no time to mix PDP. Cary–as to your specialist analogy. Mixing up TPA and Kcentra has to be the job of the specialist known as the ED RN or MD unless there is somebody else available 24/7/365. And that’s why at adequately staffed hospitals, like mine, you will have pharmacists there 24/7/365, not just to simply mix up the drug, but to help decide which drug to mix and how much to give. Push-Dose Pressors are likely here to stay. We have been purchasing and using only pre-mixed Phenylephrine 100 mcg/mL and Epinephrine 10 mcg/mL syringes from a company called Pharmedium for the past year or so. Anesthesia had already been using premixed phenylephrine and ephedrine. The premix eliminates some of the risk of error, concentration inconsistencies, and sterility issues as well as featuring extended expiration dating so they can be loaded in automated dispensing cabinets. I would attach a picture but I’m not sure it’s possible. You can search images online. To our Administration, it was worth the extra cost to not have nurses and docs mixing at the bedside. Our average usage is (very doc-dependent) maybe 10 epinephrine syringes per month and 1-2 phenylephrine. fantastic! I’ve been looking for a compunder that will do push-dose epi. Hey Scott thanks for the great FOAMed/podcast as always! What is your position on pressors for the acute hemorrhage patient that is severely unstable and actively dying on you? I didn’t see this patient population mentioned in this podcast. I haven’t found any evidence that supports/benefits pressor use before blood product replacement in this patient population and there may definitely be harm. There are providers that do support this though. Thoughts? Yup, a question that has run through my mind many a time. It will get its own podcast v. soon. Okay thanks looking forward to it. I have used PDPs for some years, but starting in transport medicine. I advocate drawing 2ml 1:10,000 adrenaline into a 20ml syringe and filling with 18ml 0.9% saline. This is specifically to give a visual and tactile (useful in a dark helicopter) cue that you have a very different beast to your 10ml syringe of cardiac arrest adrenaline. Thus I know that in my resus room, adrenaline in a 1ml or 3ml syringe is 1:1000 for IM use, adrenaline in a 10ml syringe is 1:10,000 for IV use in cardiac arrest, and adrenaline in a 20ml syringe is 1:100,000 for PDP use. You quickly instinctively know which strength is which from 10 feet away. Great podcast over push dose pressors, but one question I do have is that i do not believe I have ever heard you mention anything about the use of volume expanders such as albumin in any if the past pressor related podcasts. I agree that pts do not always need a ton of fluid but is the use of this class of drug effective in the emergent setting? it is kind of an evidence-free zone. i do use albumin sometimes, esp. in my cirrhotics, but that may be the only pt group where there is some reasonable proof. Great podcast. In the prehospital environment without blood available, can push dose pressors be used to raise MAP in hypotensive trauma patients for intubation? I wonder if you could elaborate on your reasoning for physicians who use push-dose pressors should be able to place transvenous pacers. If you imagine the scenario of many rural and remote emergency departments around the world, the physicians working there will frequently be in a situation to need to manage hypotension/critical hypo perfusion rapidly and alone (i.e. without anesthesia/critical care/any specialist support on the ground). These are also the very same places in which it is difficult to get a vasopressor infusion set up in 5 minutes (i.e. imagine having only two RNs working in the entire ED and no pharmD support). While few (if any) of us have ever been in a position to learn (much less practice) how to place a transvenous pacer, we are the only resuscitationists at our centres. So, in that context, I would like to know what your suggestions would be for managing critical hypo perfusion in the 10-12 minutes (equally arbitrary to the 8 mentioned above) that it will take for us to get a norepinephrine drip organized. What does floating a pacer have to do with diluting and pushing epinephrine? Whether you do it all the time or not, in the ED the ED physician should prepare to manage emergencies that don’t happen often. Anything that walks through the door, right. I have used pushed dose epi successfully, not because I use it all the time, but because I am mentally prepared to use it in the appropriate situation. Additionally, I am the physician; pharmacists don’t resuscite patients. They can make their recommendations, but they are not clinicians and don’t bear the responsibility of managing acutely life treating illness. Agree here wrt relevance of floating a pacer- not sure how diluting a solution by 10 is similar? Seems to Be a lot of discussion over essentially, diluting something by 10. Big adrenaline little adrenaline that’s how I was taught well over 15yes ago in Bristol, UK. In my mind big 1:100 000 I use for bridging sepsis plus others and 1:10 000 for anaphylaxis. Giving one ml every 5 mins of ‘big’ equates to starting your sepsis inoptrope at the lower dosing scale 0.01mcg/kg/min (in average adult). Recent case I had to push (ha ha) my colleagues to up the adrenaline in an anaphylaxis as they didn’t quite get the much bigger doses required.